The Golden State, better known as California is all about the glitz and the glamour. As the home of many of the top celebrities, the state offers a lot of vibrant places and even more vibrant people. Not only is it one of the top destination places in the United States, many people are also willing to move into the state because of all of the excitement it offers. People love being a part of The Golden State and its large cities and it’s a slice of the American dream to be there. 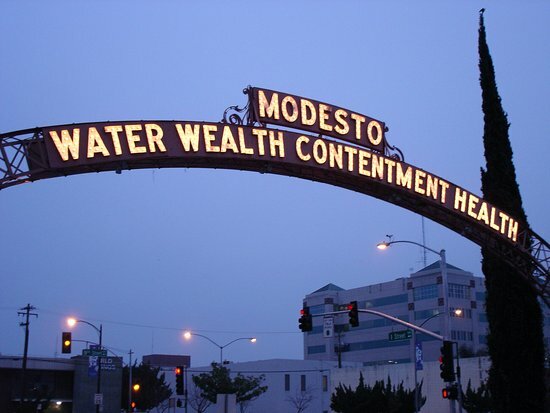 One of the biggest cities in California is Modesto. The city is home to 209,286 people from all walks of life and that population continues to grow with each year. It is also one of the top cities in California in terms of destination spots and population. Other than that, the place also offers a ton of opportunities for wide-eyed visitors who are looking to make a mark on the world. Because of all the pressure and competition that the city brings, it is also prone to a few issues that aren’t left unnoticed. Like most areas in the United States and in the rest of the world; California and its cities such as Modesto comes with a lot of concerns and issues regarding drugs, alcohol, and other illicit substances. Though the place is a good spot to kick start living the American dream, its problems should not go unnoticed if everyone else wants it fixed. If you live in Modesto, and have fallen victim to substance abuse don’t hesitate to seek treatment. There are enormous resources in at your disposal. California is prone to the trafficking of illicit drugs which include heroin, cocaine, crystal meth, and several others more. It’s a sad truth but it is a truth that everyone must face if the problem were to be resolved. Although the state isn’t the one with the most cases of illegal drug abuse, California still ranks rather high among all the states in the United States. Out of the 50 states, Wallet Hub reports that California ranks 23rd overall on a list of the states with the biggest drug problem. It garnered a total score of 43.42 and the highest scored 64.06 which is the district of Columbia. The scores were gathered from a total of a few metrics including drug use and addiction, law enforcement, and drug health issues and rehab. It’s good to know that California isn’t facing a very severe problem based on the study but on a wider scope of the issue, The Golden State’s citizens are all at risk of the problem. Hundreds of thousands and possibly even millions are affected by the problem even if it ranked 23rd out of the 50 states. Why California is Littered With Illegal Substances? One of the reasons why California’s streets are littered with illicit drugs is that it’s close to the border of Mexico. As such, the area is easily accessible by the Mexican Drug Cartel which has been one of the main sources of drugs in the United States. Although the border patrol is keen on making sure that illegal drugs don’t pass beyond the border of the United States, there are still a ton of cases wherein drug traffickers and mules are able to get through to get their dirty deed done. Regardless of how tough the border patrol is in cracking down the issue, the Mexican Drug Cartel will always find a way. Drug abuse leads to so many underlying problems that people tend to forget about. It’s not just the fact that drugs ruin lives and forces people to do desperate things, it’s also the fact that drugs are very hazardous to people’s health. Each illegal drug comes with a ton of adverse effects on a person’s health and once that person goes beyond and abuses the substance, he could die from overdosing. Back in 2012, drugs took the lives of 11 Californians every day. It was a pretty harrowing year and although the number has dwindled down even for a bit, the fact that there are several individuals dying from a drug overdose every day is very alarming and concerning. There are a lot of factors that could be attributed to the number of deaths from drug overdose each year and one of those if the type of drug that is very popular in the state. As with most states, California is facing a drug problem but with The Golden State is feeling the negative impact of drugs from a few specific substances. Most of the popular drugs in California are either fatal or have drastic side effects on a person’s overall health and well-being. These drugs are rampant in the state and as such, the local governing bodies does its best to crack down on the distributors of the drugs to avoid them getting into the wrong hands. It’s not just California, but a vast majority of the United States is suffering from a massive opioid problem. The drugs often come in the form of painkillers and although prescriptions are required to get opioid drugs, there are those who traffic the drugs illegally and as such it has become very rampant in streets across the United States. News regarding opioid-related cases is very common in California. Just recently, 9 students where were hospitalized because of the alleged abuse of the drug. The students were found either unconscious or have inhabilitated breathing. What happened was truly harrowing but what should be the cause of the alarm is that the drugs were easily procured by the students. Opioid drugs are commonly found in the form of high concentrates like Fentanyl. Although the drug is indeed effective in relieving the pain of an individual, it is also highly addictive and a person could easily become reliant on it in no time. It’s primarily one of the reasons why it is one of the drugs that has caused the most death in the United States. Over 19,000 people have died from opioid drugs since 2016 and that number is projected to grow further. Another popular drug in California is cocaine and crystal meth. These two substances are commonly distributed through the Mexican Drug Cartel from beyond the border and for several years now, people in the United States have easy access to the drug, which causes a slew of problems for the health of a person who is dependent on it. As two of the most potent drugs in terms of death rate, these two are cracked down by the government more than the others. Cocaine is a very addictive drug stimulant which is derived from coca leaves in South America. The compound is commonly used in medical research but when consumed in highly concentrated volumes, it could have various effects on a person. The drug causes an array of side effects including dilated pupils, nausea, restlessness, weakening of the sense, and for aggressive use, death. Crystal methamphetamine or crystal meth for short is a crystalline drug commonly taken through the nose. Like cocaine, it carries various side effects when used and it’s also a very addictive drug. It is widely spread in California through peddlers and traffickers. Just recently, a California man was cited for having crystal meth in his San Bernardino home. The rampant drug problem in California and its cities like Modesto have with opioid drugs, cocaine and crystal meth are all alarming and concerning for the state’s citizens, and for those who are interested in venturing into the state. Sadly, California’s problems with substances don’t end there as the state also faces quite a hefty issue with the abuse of alcohol, and all the problems that trail it including drunk driving, vehicular accidents, and other crimes. California is a state filled with vibrant nightlife, parties, ecstatic people, and as with most states, stresses, and worries. Because of the vibrant nightlife, people are fond of drinking throughout the night without any regards for what could happen if they get too drunk. And since it is also a busy and competitive state, its individuals are also fond of drinking their troubles away which is, of course, is not the proper way to handle issues. Alcoholism in California leads to a lot of things which include driving under the influence (DUI) cases, lost work productivity, increased healthcare cost, and several others more. These drastic effects occur after an individual is intoxicated and the worst that could happen is that he could get in an accident, and cause the death of an innocent pedestrian because of his recklessness. California and its governing body aren’t taking DUI cases lightly though as they have a very strict implementation of punishments and offenses for those who are guilty of it. DUI fines reach up to $1,000 plus a night in prison. In worst cases, probations and long-term imprisonment are handed down to individuals who drive while intoxicated. California’s governing body and local law enforcement are keen on cracking down on the alcoholism rate in the state and to do so, they are trying to push people away from the act by threatening them with harsh but fair repercussions for their recklessness. Drunk driving doesn’t only affect the driver, innocent victims of DUI offenders suffer through unwanted consequences as well and on their part, it is very unfair for they have nothing to do with it. Just a few weeks back, a dad of 5 from Orange County was hit by a drunk driver. He was immobilized and of course, this means he can no longer work at his fullest. His family was affected by the harrowing accident caused by a reckless driver. The good thing though is that at least, he is already well on his way to recovery. The numbers don’t lie. California has a problem with substances that are causing a stream of adverse effects on the lives of its citizens. While the problem is being looked into by the local government time and time again, it’s hard to expect that the issue will be completely eradicated in the years to come. At least the good thing though is that California and its cities like Modesto are home to amazing rehabilitation and treatment centers that cater to individuals who are deep into addiction, and want to set their lives on the path to recovery. The treatment centers in California take their job seriously and through the help of top-notch facilities and well-trained professionals, the state is able to help its individuals who are willing to rid themselves of the problem that they are facing. The centers in California and its cities like Modesto are always willing to help out individuals and they do so through a systematic process that helps an individual ease of recovery. These treatment and rehabilitation centers start out with the assessment of the individual. During this process, the professionals are going to look into how dependent the patient is to drugs. It’s an important step in the overall recovery of the individual as the doctors conducting the treatment are able to determine which techniques and medicine would fit the individual. The pre-intake and the intake process serve as the main body of the rehabilitation program. During which, the patient is constantly examined by doctors in a bid to help him cope with his problem through mental and psychological conditioning. During this part of the rehabilitation program, the patient must understand that he isn’t alone in coping with the problem. Most who are dependent on drugs are also ashamed of letting their problems be out in the open and in the intake, process, doctors are set to sort out this insecurity. The detoxification process is the most important part of a patient’s road to recovery. A lot of the treatment facilities in California and its cities like Modesto have superb detoxification methods to guarantee that all traces of a substance will be removed from the individual. In doing so, the patient will be able to withdraw from depending on the drug a whole lot easier. Thanks to California’s advanced treatment facilities, this part of the process has become more effective and efficient. California’s proven and tested methods don’t end once the patient is cured for his addiction. The facilities in cities like Modesto and others make sure that the individual is well-cared for even after they are free from the grip of substances like cocaine, crystal meth, opioid drugs, and alcohol. Aftercare is of utmost importance for these facilities so they make sure that each patient is doing well, weeks, months and even years after they set foot outside the treatment facility. What’s good about California and its treatment facilities like those found in Modesto is that they offer an extensive selection of programs for patients. Patients can undergo treatment in the hospital itself through inpatient programs. These programs are very thorough and they get through to them with ease as the patients themselves are in the welcoming abode. Most of the inpatient programs come with a lot of inclusions including food and of course, a comfortable atmosphere. These patients are also going to be in the company of people who are going through the same troubles as them and this will promote a great brotherhood between the patients. On the other hand, the outpatient program is reserved for those who want to get treated at their own pace and leisure. Patients are able to go to and fro the treatment facility. Others would think that this kind of programs have a lower success rate than inpatient programs but the facilities in California and Modesto guarantee that the success rate remains the same between inpatient and outpatient programs. The facilities offer a good grasp at sober living and for individuals who are suffering from substance and alcohol abuse are going to find it hard to combat the disease all on their own. What they need are top notch facilities and professionals to help them be on the way to a better life. Of course, these facilities aren’t free and patients will have to ready enough financial leverage to get the treatment. However, these facilities guarantee that the prices are nothing but fair and affordable. We shouldn’t put a price on living a better life and people should think of these treatment facilities as investments in a better tomorrow. The drug and alcohol abuse in California, its cities like Modesto; and the rest of the world in general, could ruin the lives of the youth and a lot of others. It will be hard to fully alleviate drugs and alcohol from the streets in cities, states or countries in one go. It will be a long and steady process and until there are individuals who continue trafficking drugs, the problem will persist. What everyone could do now is to counteract the effects of these substances with intensive treatment programs that seek to help out individuals who are suffering. In due time, the treatment facilities will be able to somewhat lessen the impact of the problem on the youth and to all those involved.